Heading out for a long run? Not sure about the weather, or your ability to navigate and get home before dark? When you need to bring a few extra pieces of kit with you, or if you’re going fast and light, the Dyna 6 accommodates just enough fuel and gear to get you there and back, no matter how far “there” may be. 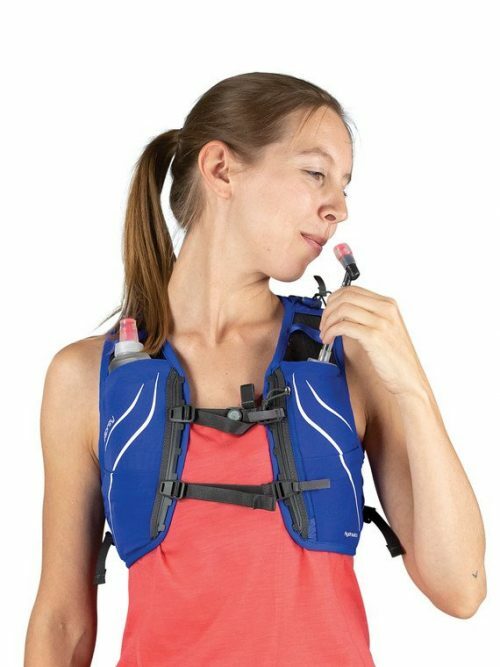 With women’s specific fit for bounce-free stability and comfort and ample room for long runs requiring extra layers or gear, thoughtful and accessible storage for fuel and other small items, trekking pole storage, a HydraulicsLT 1.5L Reservoir and soft flask compatibility this pack will please novice runners and experts alike. 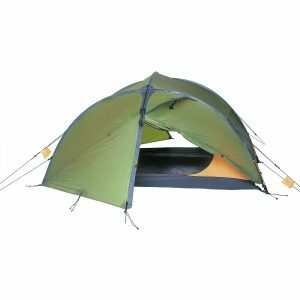 Osprey Dyna 6L total winner! Cheers to the crew at Adventure Gear Albury for fitting me out with the Osprey Dyna 6L hydration vest. 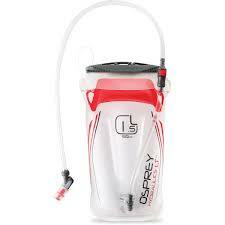 I was indecisive between the 6L and 1.5L but although it’s 4.5L larger the extra room isn’t a hinderance on short runs with only a soft flask. 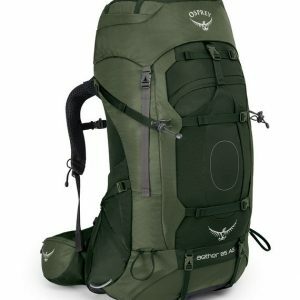 The 6L has a large zip compartment which expands to fit a ridiculous amount of gear and let’s face it most mandatory gear lists read like a novel. 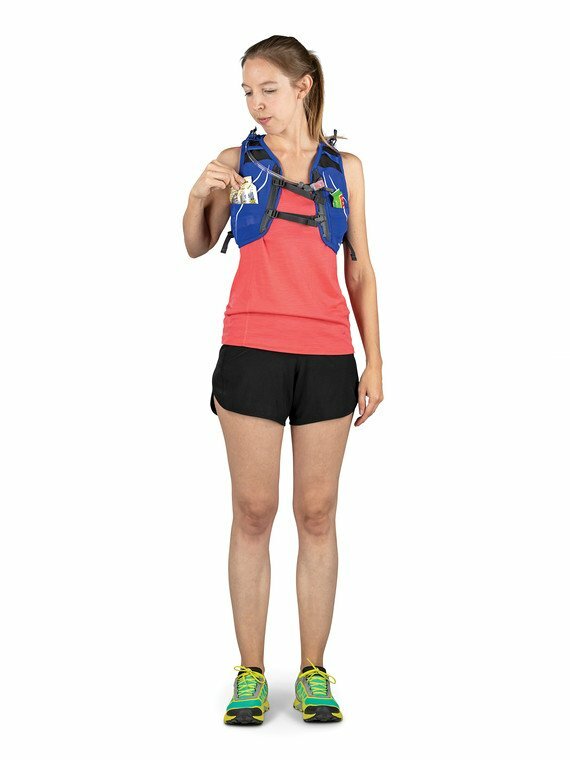 It also has a smaller zipped compartment at that top so between the two they keep the gear separated and it doesn’t move down the pack or feel like you’ve stuffed a rockmelon down there. It also has hiking pole holders which are super easy to operate. 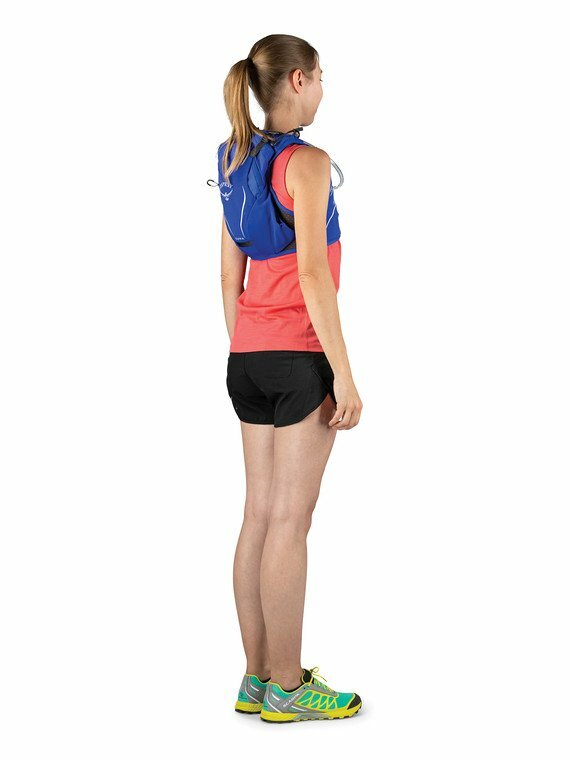 Its size means being self sufficient on long training runs or races without support crew. So far I’ve fitted: two soft flasks, phone, head phones, Or Helium Jacket, thermal top, buff, hat, fluoro vest, t shirt, hiking poles, head torch, toilet paper, medical kit and Trail Brew powder and food for 6 hours (and I eat a lot!). There isn’t any bounce regardless of how much gear is packed. As a woman I’m all too well aware of bounce and I think mother nature has that covered without any assistance from a vest! I love that its designed for women and whilst I’ve had others with the same intention their execution always missed the mark; sitting too low and and being to wide. 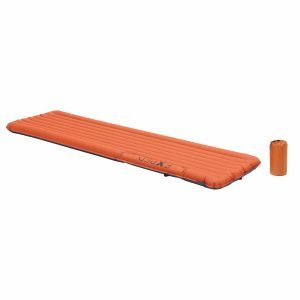 It sits high on my back and doesn’t creep down even filled with gear. 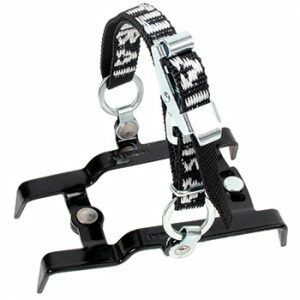 It has four adjustable straps which ensure the width is a snug fit and they aren’t fixed so can be moved around to suit . One chest strap has a magnet for the hose which is a winning idea. No clips, no fuss, no leaking as its got a bite valve. 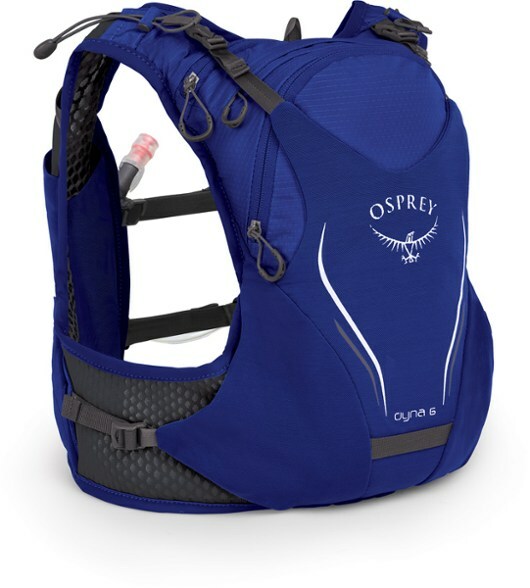 It comes with an Osprey 1.5L bladder which stays flat and is SLOSH FREE! Total winner as far as I’m concerned as my patience with the sound of sloshing water can wear a bit thin after a few hours. As well as the two zippered compartments there’s 5 stash pockets. There’s a zippered phone pocket which will fit any phone size and although sitting it over the soft flask can make it a tight fit initially, after a few sips it’s not an issue. It’s chafe free even testing it out in the pouring rain over 10 hours as the mesh is really soft with large holes. 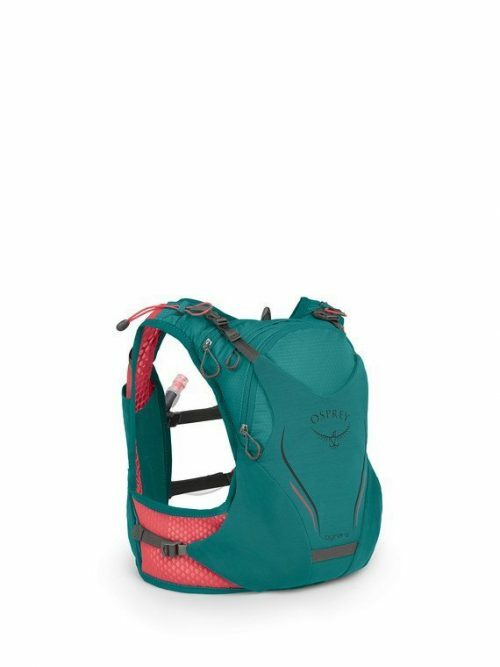 Overall I reckon Osprey have designed a pretty sweet pack for women and although its not critical, it is a bonus that it’s aesthetically pretty good looking as well as being ergonomic and versatile.